﻿ Furano Tsuru Apartments, Japan | FROM $122 - SAVE ON AGODA! 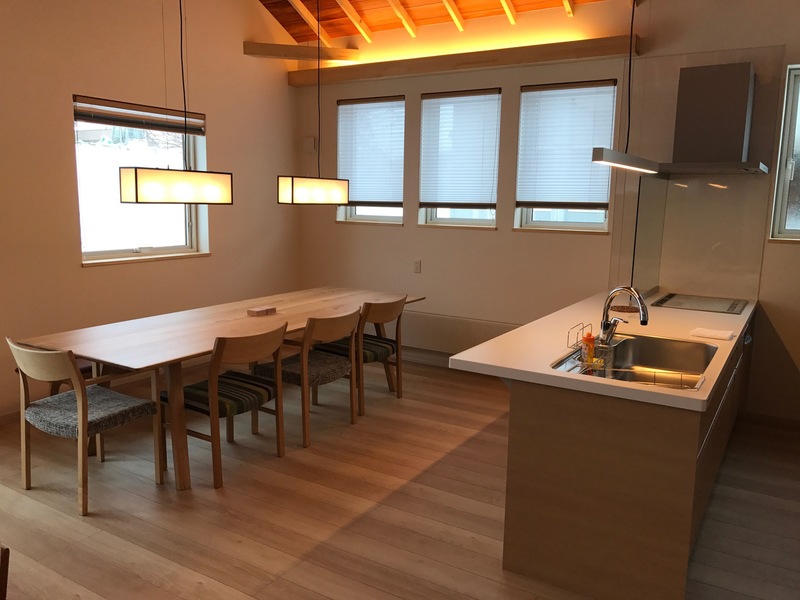 "The house is new, spacious and with all the kitchenware that..."
Have a question for Furano Tsuru Apartments? "The room looks new and the owner was very friendly and helpful." "The three bedroom house is big and modern." "The location worked for us - we had a car and parking is provided." "The accommodation was clean and well equiped." 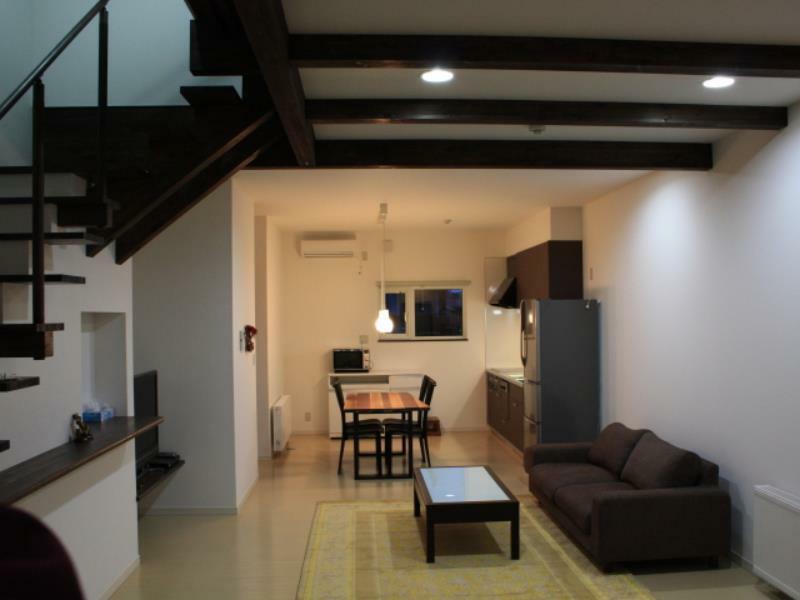 Built in 2008, Furano Tsuru Apartments is a distinct addition to Furano / Biei and a smart choice for travelers. Only away, this 3.5-star hotel can be easily accessed from the airport. Also within easy reach are Garden of Wind, Furanonishi Hospital, Furano Wine House. 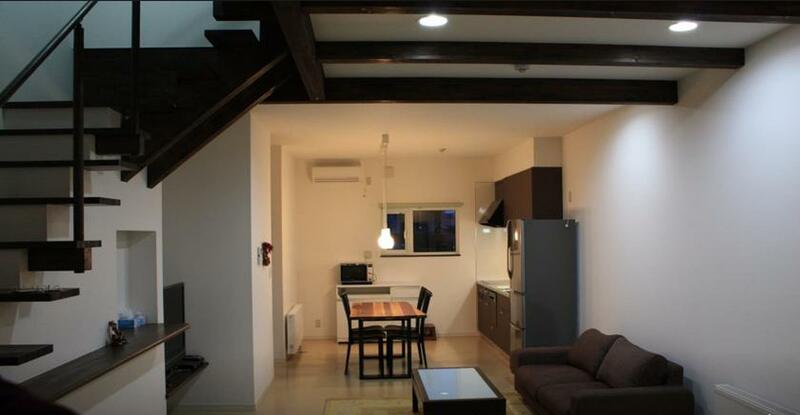 Furano Tsuru Apartments also offers many facilities to enrich your stay in Furano / Biei. To name a few of the hotel's facilities, there are free Wi-Fi in all rooms, laundromat, express check-in/check-out, luggage storage, Wi-Fi in public areas. In addition, all guestrooms feature a variety of comforts. Many rooms even provide television LCD/plasma screen, children's high chair, cleaning products, clothes rack, linens to please the most discerning guest. Besides, the hotel's host of recreational offerings ensures you have plenty to do during your stay. 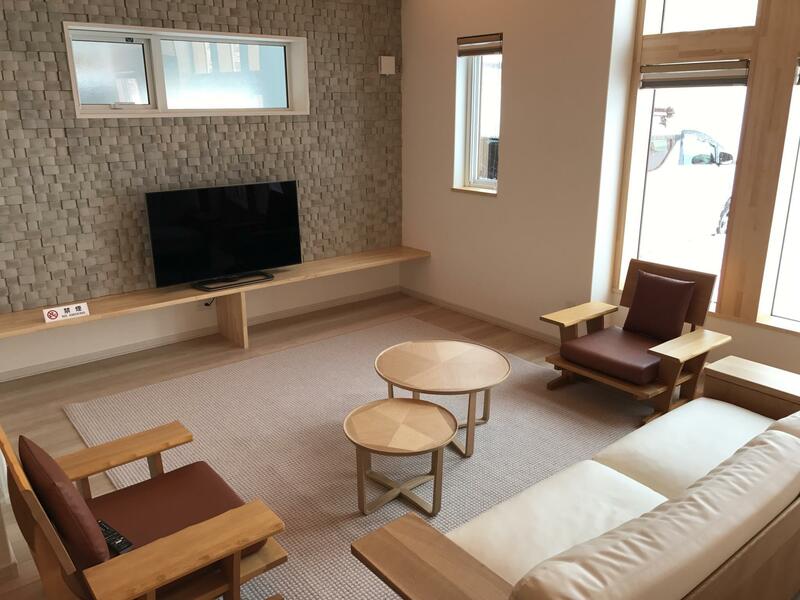 Furano Tsuru Apartments is an ideal place of stay for travelers seeking charm, comfort and convenience in Furano / Biei. "The owner is friendly and provide free shuttle when we arriv..."
Children 0-5 years old will be charged JPY 1000 per child per night when using existing bedding. 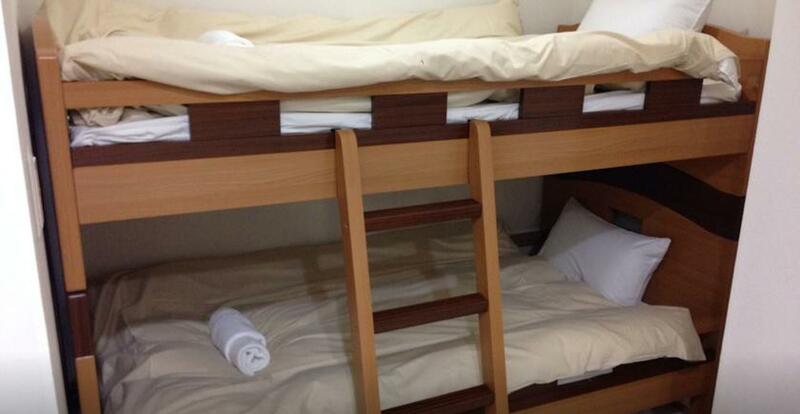 Children 6 years old and above will be charged JPY 4000 per child per night when using existing bedding. Children 6 years old and above will be charged JPY 6000 per child per night with extra bedding provided. The apartment is clean and spacious. Nearby to the local amenities, carpark space is just at the door step. The host is very particular on the cleanliness and whether you are well taking care the house. So please do your job and be prepared on his nag if you are not doing as per his instruction. Booking at Furano was very difficult especially in the peak season. We finally found this apartment but the price was a bit high. On the check in day, we arrived early at around 10am with five heavy luggage. The owner, Mr Hiro, let us to put them at the front desk and came back to check in at 4pm. When we came back at 8pm, surprisingly he showed us a house next to the apartment that we would stay for the next two nights. It was a big house with all the facilities are new and kept very clean and tidy. Mr Hiro also instructed how to use all the facilities with patience. Apart from that, we needed to call a taxi to visit the surroundings and carried the heavy luggage to the JR station on the check out day. In view of the price of taxi was relative high, Mr Hiro was so kind that to drive us to one of the nearby scenery and transported our luggage to meet at the JR station before we left Furano in the afternoon. Thank you to Mr Hiro and we will come back next time. BTW, to other travellers, please help to keep the apartment clean and tidy and use the facilities with tender loving care, don't slide the heavy luggage on the wooden floor as instructed. I feel Mr Hiro like his apartment and the house very much. 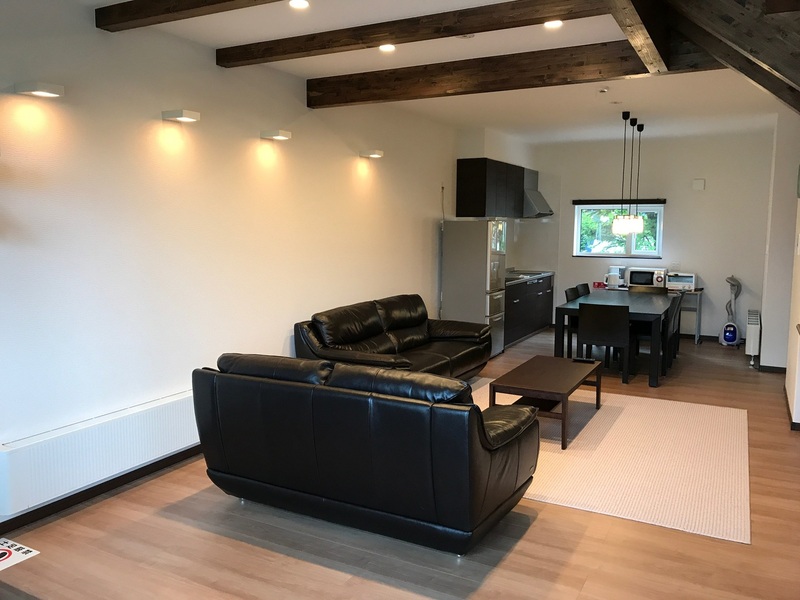 The location of Tsuru Apartment is near the town centre and also takes 5-10 minutes walk to the closest Ski Area. We are self-drive tour and just park our car in front of the apartment. 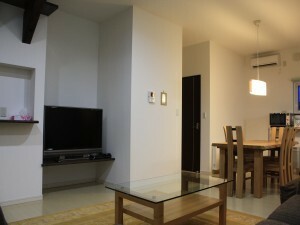 The 2-storeys apartment is spacious, clean & tidy. It provides international TV channels to watch. We like the bathroom as it's spacious, clean and comfortable. We could just walk to 7/11 convenient store and there are many restaurants in the neighborhood. The Manager, Mr. Hiroshi, is friendly and helpful. If we come to Furano again, we must stay in Tsuru Apartment. It is highly recommended ! We really got a "wow" when we arrive to the apartment. 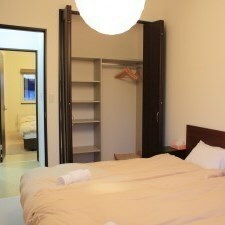 The room is huge and most important part is the design of the apartment, it's like moving into a new house. Very cozy and feels like at home. Hotel is very clean. We would highly recommend this hotel to others for its coziness and the whole experience is great! Suitable for family! The manager, Hiro-san was friendly and he made our stay welcoming. In addition, he speaks good English, thus communication was not a problem. The apartment was our family of 4 was spacious and comfortable. Will return if visiting Furano. Friendly host,great service and comfortable room. we really enjoyed and have a wonderful stayed in Furano Tsuru Apartments,Hiro san is a polite and helpful person,we hired him as our driver and tour guide for a day to see the beauties of Furano.Mr Hiro san helped us a lot,he brought us to eat a delicious curry udon and his wife fetched us from the JR station when we arrived and she also sent us to the station when we departed.I really want to thanks Mr&Mrs Hiro for their warm hospitality. A good choice with reasonable price offered by AGODA. The place is far from JR station but it is very nice of Mr. Hiro to offer us pick-up service. Although we only stayed for a night, we would like to be back and stay longer in Furano next year. The owner is friendly and provide free shuttle when we arrived furano station. The three bedroom house is big and modern. We are happy with all the facilities in the house, which the owner provided for us. 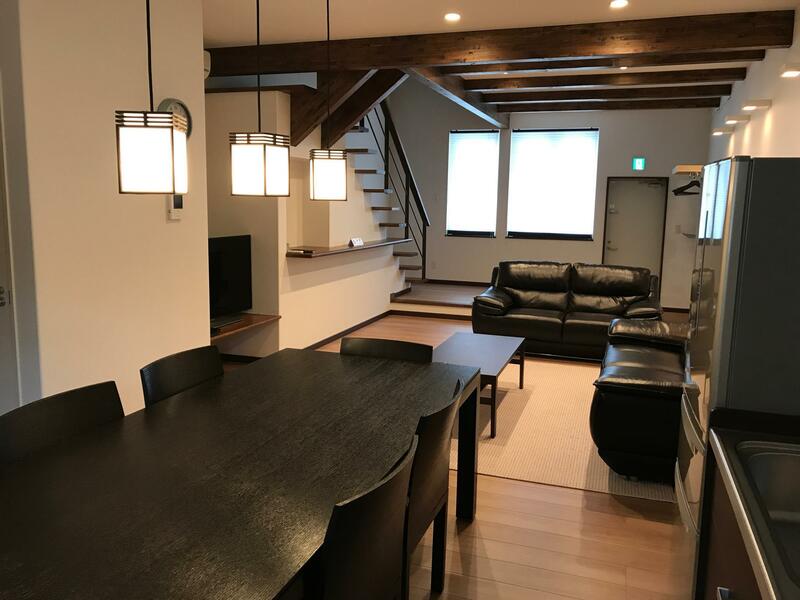 This apartment is highly recommended and we definitely will book this apartment again when we stay in Furano. We stayed here for two nights as a base to explore Furano Biei area. The one bedroom apartment we had is spacious, extremely well equipped and beautifully maintained. Hiro is an excellent host with good English skills (my Japanese is sadly minimalist). He explained everything and was available if any help was needed. The location worked for us - we had a car and parking is provided. It is nearer the ski slopes than the main part of town, but there are some good eating places nearby. The kitchen is well equipped and the bed is very comfortable. One minor issue is that sunrise is super early in late June and the dark blinds still let in a lot of light. I will recommend this place to friends and would stay there again if returning to Furano. The house is new, spacious and with all the kitchenware that you need. The room is new and clean; Location is good. The apartment was clean and very well maintained. Facilities were of tip-top condition and Mr Hiro, its owner, is a very friendly and helpful person. He gave us great tips on where to go and eat. Will certainly choose to stay at Tsuru Apartments again if we return to Furano. We stayed for 2 nights. Exceeded our expectation. Spacious, very clean apartment. The toilet/bathroom are very clean and modern. We are happy to know that towels are provided and that the washer/dryer is very useful for our family. Location is very near to the popular furano delice cafe, our fave place for good coffee and cakes. 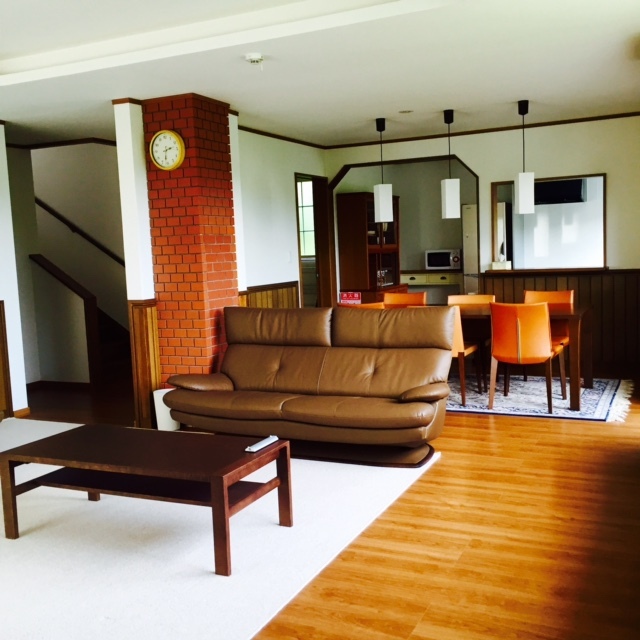 We'll recommend everyone to try Tsuru Apartment while staying in Furano/Bei area. We had only one night, which was definitely not enough. A 3-7 day stay would be the best option for family vacation. 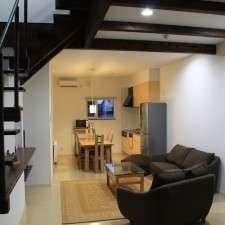 The apartment is very spacious, not far from supermarket and major hot spots. Excellent. The room, bathroom , the kitchen, the living room were well designed and practical. Appreciate this place more if you cook. The very good service of English speaking Hiro-san has make our stay even better. He give practical tips on driving routes which save us much time on travelling. Thanks Hiro-san. Spacious, modern & clean 2-bdrm apartment. Already 6yrs old but feels/looks more like 6 months old. Very helpful manager. Good and free WiFi. We stayed for 2 nights. For the price of 2 hotel rooms, we get a modern & clean 2-bdrm apartment with living/dinning/kitchen for a family of four adults. Very helpful manager, Hiro san, who helped to make a couple of bookings for us in Sapporo. 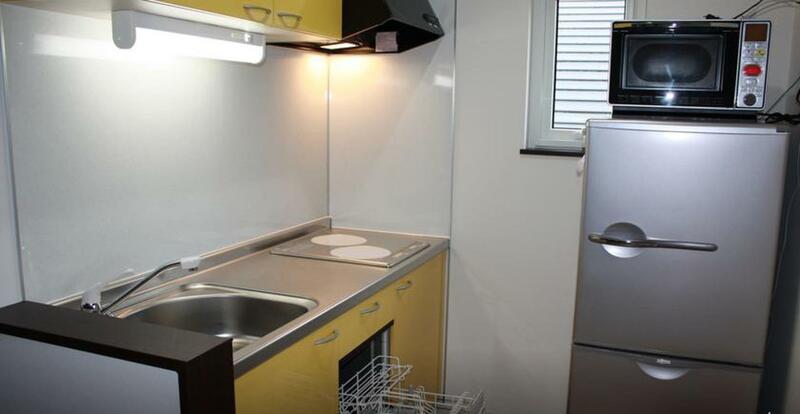 Enough kitchens utensils for cooking/serving, including dishwasher. Seriously consider to return for a ski holiday (intermediate level). I had a wonderful time at the Furano Tsuru Apartments. Since I was travelling alone, the host lent me his own bicycle for me to ride around town. The spacious apartment made me feel like I was at home. The washer/drier was also a great plus since I've been travelling for a week and had to do my long over due landrary. Hiro-san also made great suggestions as to where to go and what to do, and since there's not much mass-transit in Furano, if Hiro-san had the time, he would offer to give me a lift in his car. Just simply, a great place to stay in Furano. We had this stay 4 days into a trip and found the room to fit all of our needs. The owner made sure to give me English maps and told me where to go. Also with a 2 year old, the amenities were a welcomed sight. we stayed along with my daughter's family. It's was on second floor, with a clean comfortable beds. The room was quiet enough to sleep. We did't catch much noise through the wall. Almost everything are there, like fridge, microwave, washing machine, dryer. 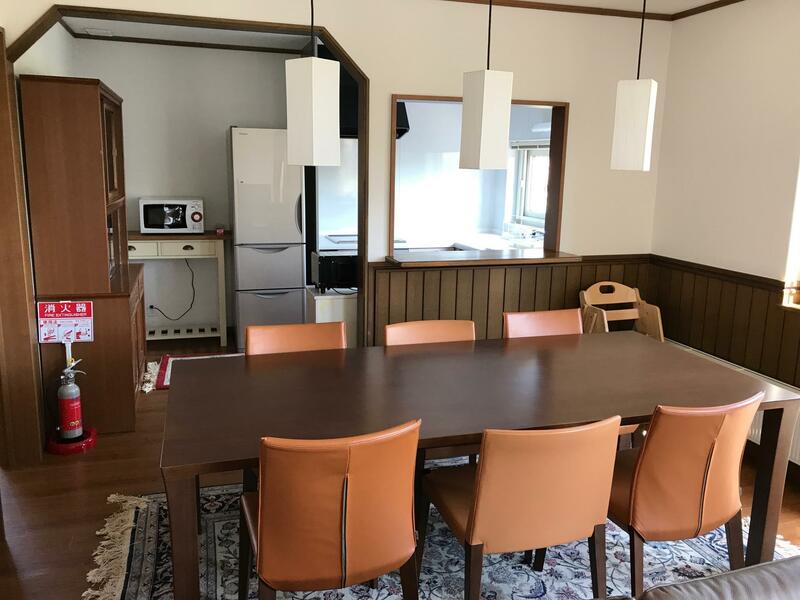 seems managing this apartment all by himself, is very friendly and willing to give information on events and tours around Furano. Nice apartment and wish to come back again hopefully in winter season. everything is great, the only problem is that there are no air conditioners or even fans on the upper floor two bedrooms. it is extremely difficult to get to sleep during our stay (late-july), there were barely wind/breeze. there should also be bedroom light. other than these, everything is perfectly good!